Provide comfort for the family of Luther Huguley with a meaningful gesture of sympathy. 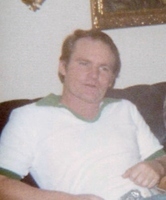 Earnest Luther Huguley, 76, passed away peacefully at Baptist Memorial Hospital in Oxford on Saturday, March 16, 2019. Born December 1, 1942 in Calhoun County, he was the son of the late Wyle Howard Huguley and the late Sally Hendon Huguley. Luther was of Baptist faith, and was retired after many years as a self-employed painter. Luther loved to sing and play guitar. He also loved fishing and being outdoors. But his favorite pastime was hanging out with friends and shooting pool. He was part of a large family, one of eight children, and he now rejoins his brothers in Heaven. His family will miss him dearly, but they will cherish his memory forever in their hearts. Pryor Funeral Home is honored to be serving Luther’s family. A funeral service celebrating his life will be held Tuesday, March 19, 2019, at 1:00pm at Pryor Funeral Home. There will also be a visitation on Tuesday from 12:00noon until service time at the funeral home. Bro. Chris Conlee will be officiating. Interment will follow at Spring Hill Cemetery in Slate Springs. Serving as pallbearers will be Michael Hodges, Johnathon Hodges, Mark Vote, Wayne Hodges, Jimmy Huguley, and David Hodges. He leaves behind his sons, William Howard “Bill” Huguley of Como, and Brandon Harwell of Water Valley; step-daughter, Deedra Anthony of Como; five sisters, Carrie Hodges and Alice Hodges, both of Eupora, Betty Lou Sims of Bartlett, TN, Dorothy Hughes of Big Creek, and Peggy O’Neal of Grenada; step grandchildren, Brittany Flanders and Laurie Tassin; and a step great-grandchild, Caleb Flanders. He was preceded in death by his parents and two brothers, James Huguley and Ronnie Huguley. To send flowers in memory of Luther Huguley, please visit our Heartfelt Sympathies Store.